Here’s a lesson for vacationers and anyone else who skis in the West. A snowstorm dumped several feet of light, fluffy snow, and we were skiing at Brighton, UT, our home resort. We know every inch of the mountain—its steeps, its trees, its gentle slopes. Dreams are made of fresh snow like this. Fearsome steep slopes become mellow ones. Moguls disappear. It was deep, and it was bottomless. It was hero snow. Then to get back to the lift, it was a wide open slope. Learning skiers like the slope because of its gentle pitch. It had been recently groomed, so the new snow there was only half as deep. Although it’s a basic, easy slope, it’s still fun to bounce along in the fresh snow. Then Laurie—my skiing companion—disappeared. Where’d she go? Did she ski around the little grove of trees? Did she pass me? Where is she? She’s gone. Holy cow, she’s suddenly vanished. Scanning the slope I saw a black dot. 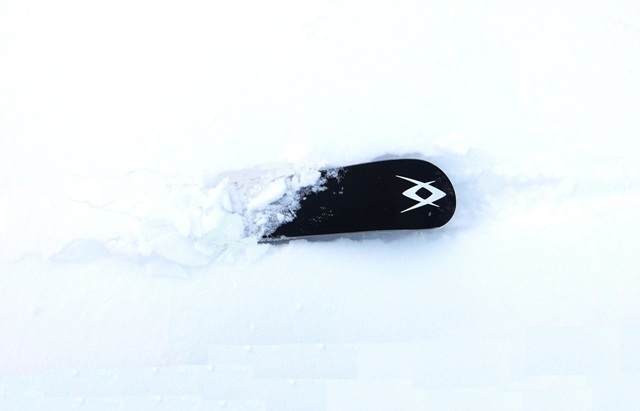 It was just a few inches of the bottom of a ski—her ski—sticking out of the snow. After all the steep, deep slopes, she fell on the easy slope. But why wasn’t she wallowing to get up? Why was there no movement? Something was wrong. I struggled up slope and reached the ski, but still no Laurie. She had fallen forward, head first, into snow that was as soft as feathers. The soft snow poofed up, buried her, then settled over her as though nothing had happened. It pinned her down. She couldn’t move. Couldn’t thrash. Couldn’t call out for help. She could have died there. It was an avalanche burial—but there was no avalanche. It was in bounds, on an easy slope, and in snow that wasn’t very deep. It was a lesson that verifies what we all know: Mother Nature can play nasty tricks. Don’t ever ski alone. Oh, Harriet! What a scare! I can identify with your and Laurie’s experience. Did this occur recently? Is Laurie ok? The same thing happened to me a couple of years ago at Snowbird – early season, big storms, the rope had just been dropped allowing access to the Blue runs between Wilbur chair and Mid-Gad chair. I, too, fell forward (an unusual thing for me) and it was frightening. Luckily the snow was light, although very deep. I first was able to wiggle my head to make a little space in front of my face, and, after talking myself down, I was able to punch a hole with my pole (with a great deal of effort) so Tom and my friend could see where I was. They had to climb back up to help me. That experience shook us all! You HAVE to respect the mountain and not get cocky, because it can happen to anyone! Reminds me of an occurrence I had at Solitude. I had become a pretty good skier and visited my son and daughter-in-law who live in SLC.I While most of my skiing then was in the Midwest I had little experience in powder. My daughter-in-law took me to Solitude and offered me a chance to ski powder. I lost control in the deep powder and ended up in a tree well. I could not get out, every move took me deeper into the well. After she tried to help me she luckily found some ski patrollers who extricated me from the well. To this day I accuse her of trying to get rid of he father-in-law!!! Im so glad you and the others that responded survived to tell their story. The same thing happened to me yesterday 2/6/19 at Heavenly Valley. 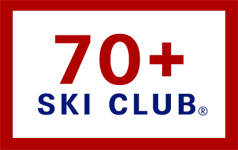 Im 67 years old and learned how to ski at Brighton in 1961. 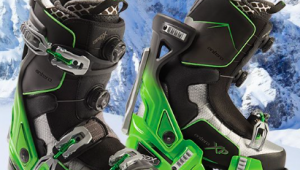 So obviously this can happen to even the most experienced skiers. I just bought new All-Mountain skiis so I could enjoy the powder. I was traversing across an area that I didnt realize was a creek covered in 6-7 feet of fresh powder. It gave way and I went head first on my back at a 45 degree angle about 4-5 feet down. The snow enveloped me like concrete except for my left arm which I used to punch a hole upward until I could see light and get air. My buddy and another skier were able to dislodge me after about 15 minutes. Ive never been more scared than that moment I realized I was buried. Lots of lessons learned about that experience and I thank the Good Lord and my two buddies who saved me ! !